The LPGas Summit was established in 2011 to organize the Asian LP Gas Summit. 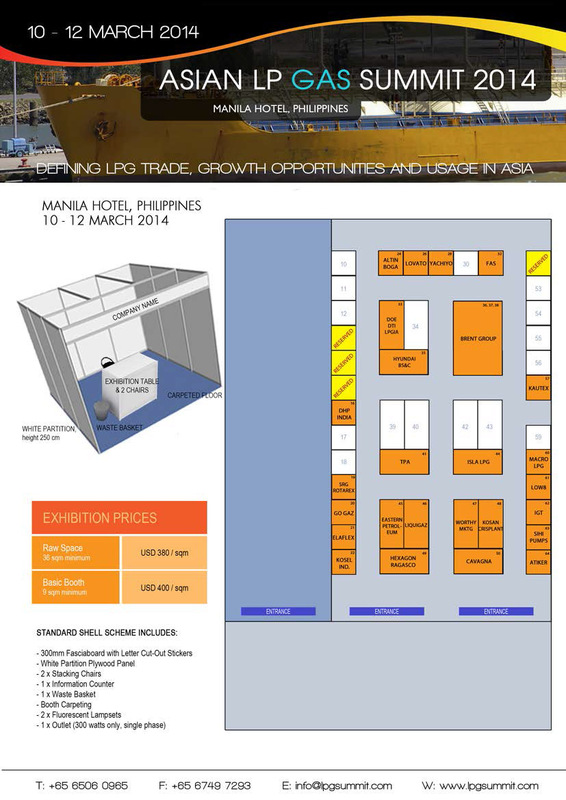 The first event was conducted in Manila, Philippines in 2011 to encourage the growth of the LPG industry there. We seek to promote discussion and industry networking for the sustainable growth of the LPG industry with a focus on technology adoption, safety and consumer education. From household consumption to autogas, we promote the adoption of LPG as the fuel of choice by providing a quorum for industry stakeholders to meet with policy makers, international technology providers and operators to exchange ideas, share best practices, and shape the growth of the industry. The Asian LP Gas Summit has been successfully conducted in Manila, Philippines in 2011, and Ho Chi Minh, Vietnam in 2013. There was a hiatus in 2012 as the World LP Gas Forum was conducted in Bali, Indonesia.